Another Walter O. Wells Invitational is in the books, and on behalf of the entire Grounds staff, congratulations to all the flight winners. We hope that everyone had another memorable experience this past week. 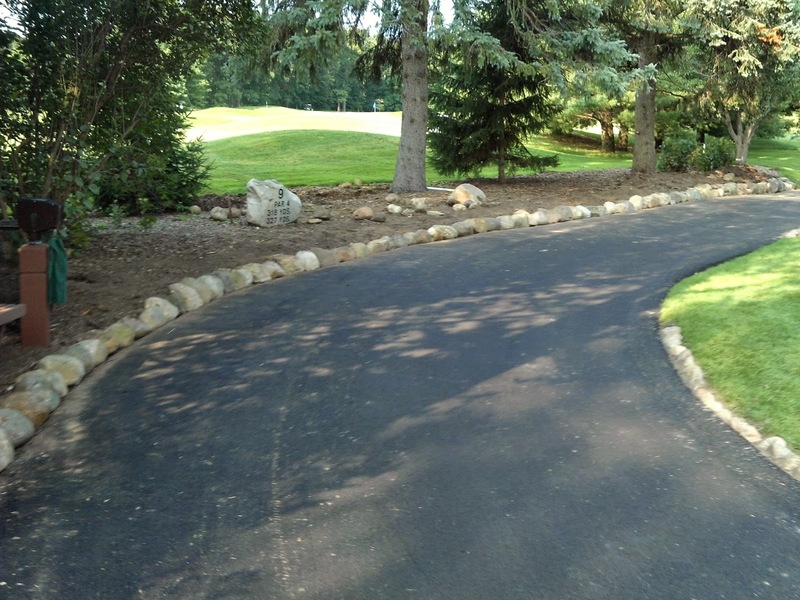 One of the neat projects that the staff completed this month was reshaping and edging the landscape bed along 9 tee. 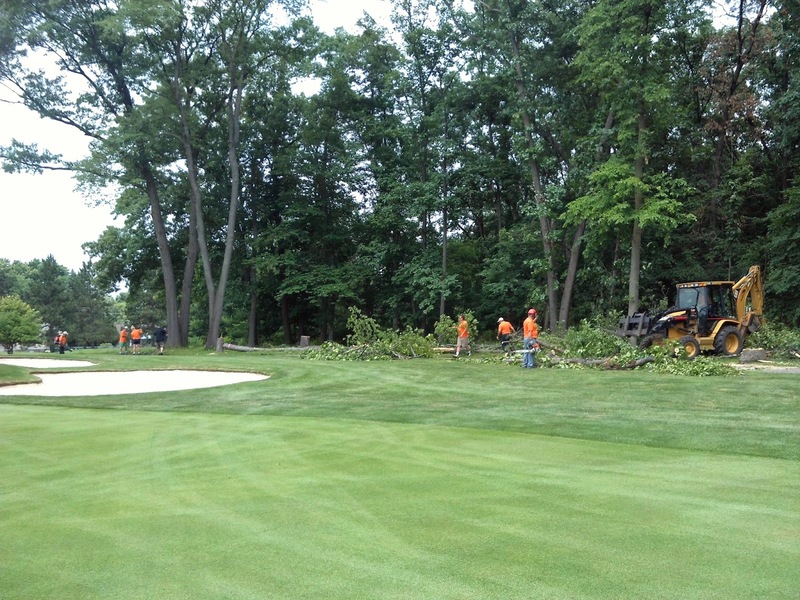 With the resurfacing of the cart path, it was necessary to remove the old timbers that lined the path. In lieu of new timbers, we decided to line the edge with fieldstone. Many of you asked where we got the stone, and how much we spent on it. That is the great part about this project. Over the years, these stones have come from adjacent fields from Elcona’s property that the farmers have piled up and given to us. Other stones have been found on property from doing various renovation projects. 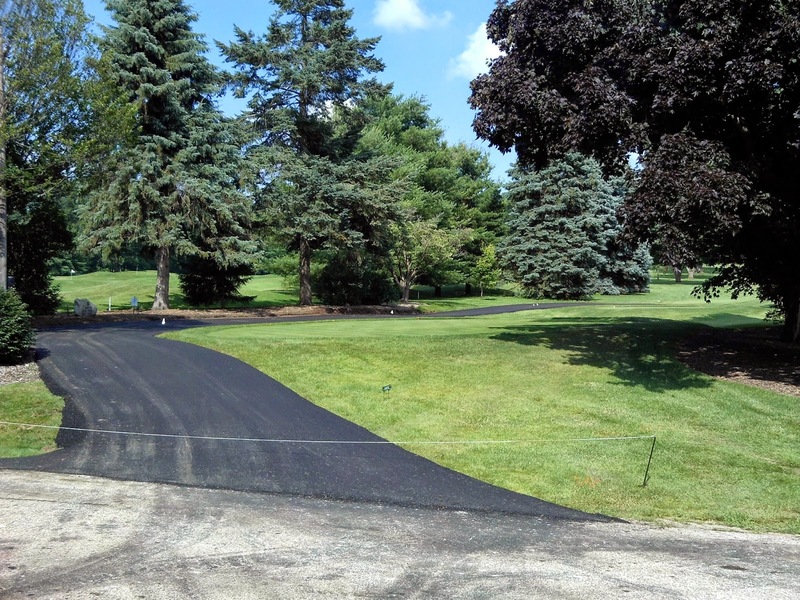 Many thanks to Greg Stump, Elcona’s horticulturalist, for his efforts planning and executing this great improvement to the golf course. Finally, many of you have asked me about the rough directly next to the collar around greens. This Kentucky Bluegrass rough has the playability similar to Bermudagrass and is quite stemmy, as the picture on the right shows, which can result in balls sinking down and creating quite the tough pitch shot. 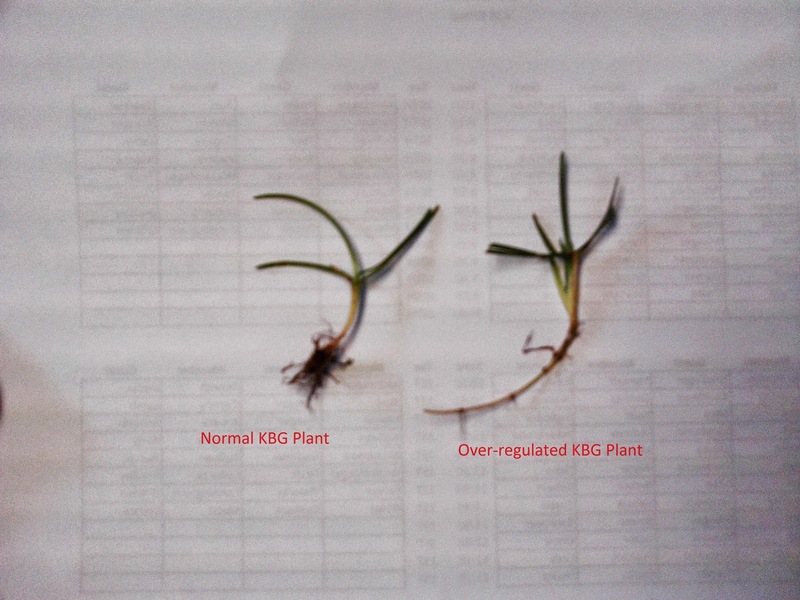 This is a result of over-regulation of the plant. Growth regulator is applied to the greens on a weekly basis to help produce the playing conditions that are expected. In late Spring, additional growth regulator was applied to keep the rough in check and help us keep up with mowing. As a result, these regulators limit leaf growth and promote root/stem growth. What has resulted this year is something that I have not seen in my career. 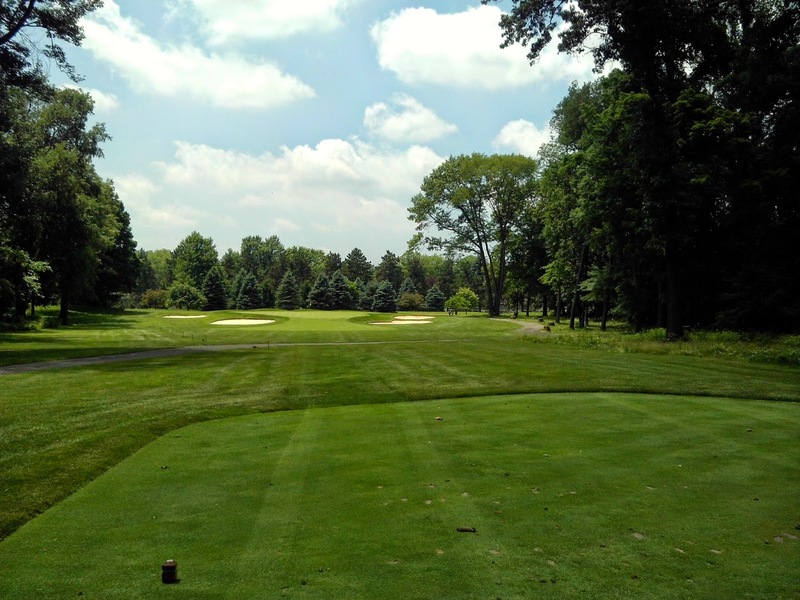 In the short term, ﻿we have applied a slow-release fertilizer to promote new leaf tissue growth and help keep balls from sinking down into the canopy. When fall weather hits, we will be aggressively verticutting around the greens to remove plant material and promote further new growth that will not have this growth habit. Finally, green surrounds will be aerified to increase air flow to the rootzone and reduce the compaction from foot and machinery traffic. 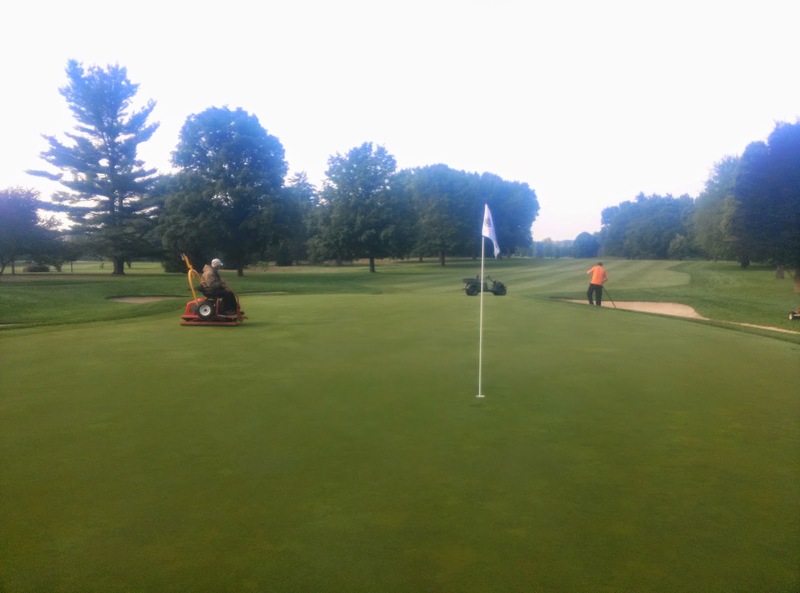 All of these cultural practices will help alleviate our current situation and improve playability around greens. 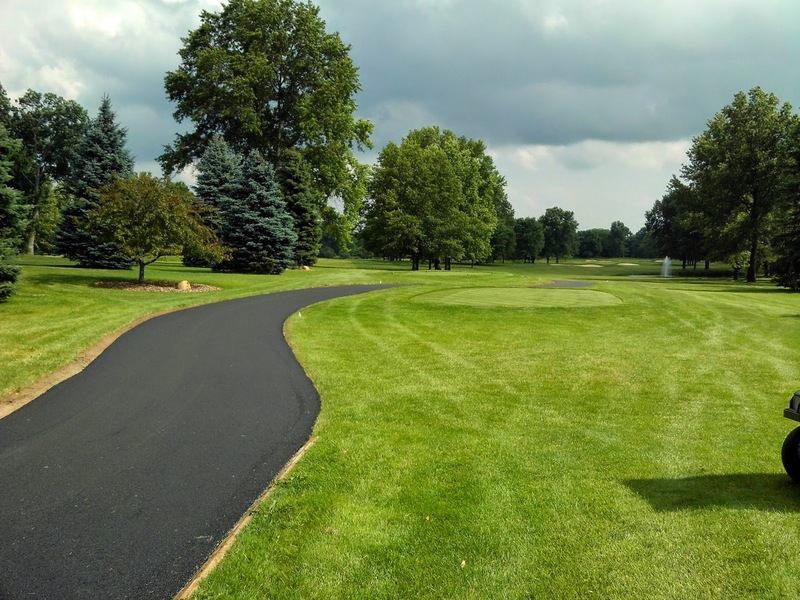 Our cart path resurfacing project was completed yesterday. 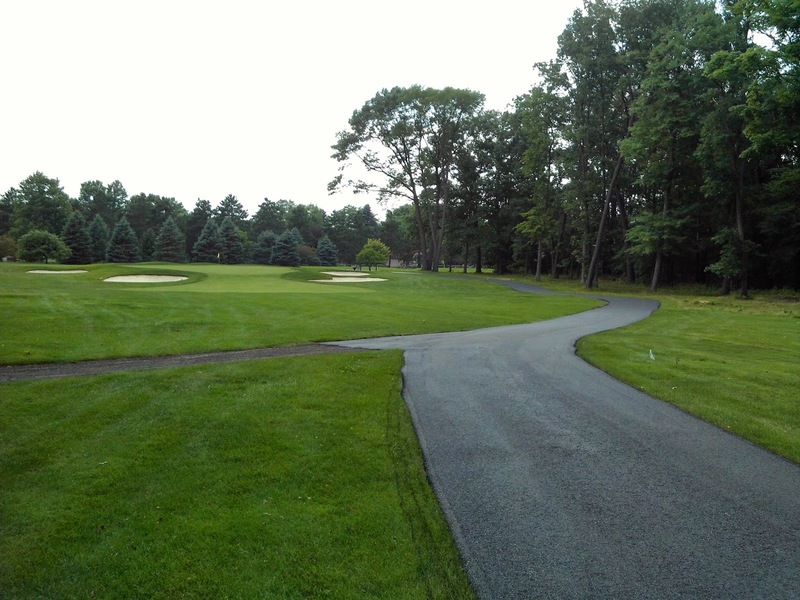 The new paths around 1 green, 9 tee, 10 green, 13 and 14, and 18 tee turned out great and are a great improvement to the golf course. 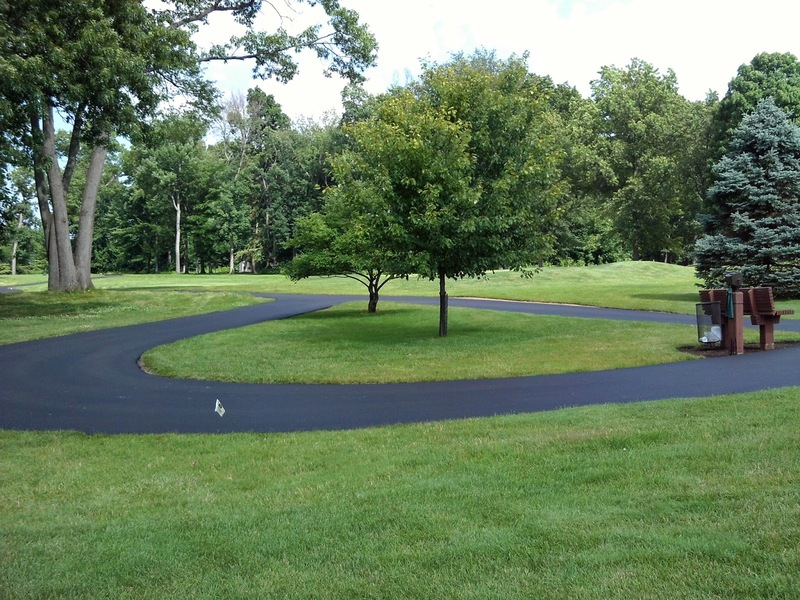 The NiBlock crew was finished by 3:45 with the asphalt laying, and the paths were rolled completely smooth by 5:45. The paths cured nicely yesterday, and will be available for use today unless otherwise marked. Our crew in the next few days will be buttoning up the edges around the paths with soil and sod. Below are some pictures of the process and the finished look on these holes. 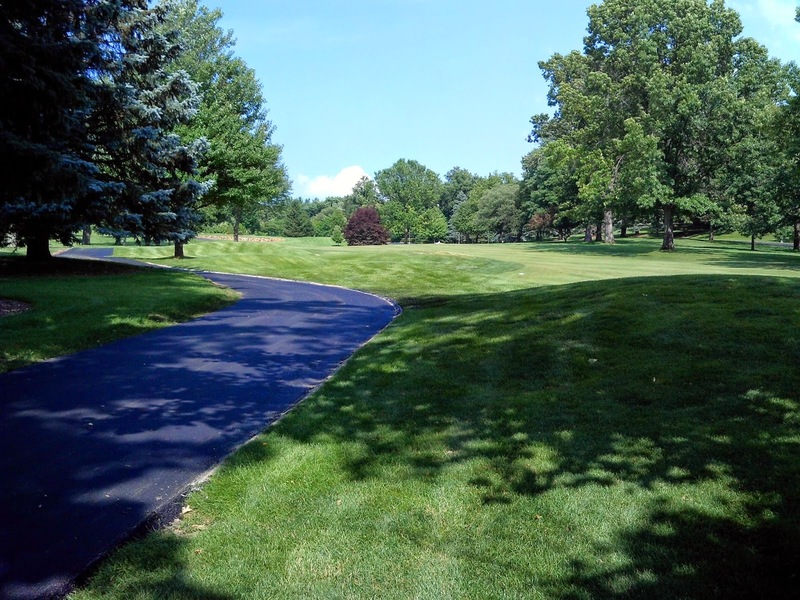 On Monday, July 7th, NiBlock will be on property to resurface and repair cart paths. 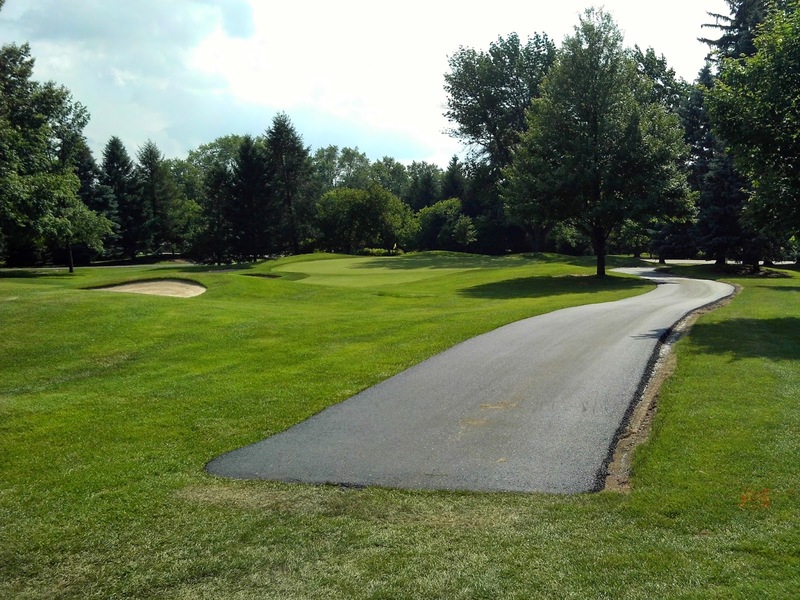 The path work will be at 1 green, 9 tee, 10 green, 18 tee, and the entire path from 13 tee to the end of 14 tee. 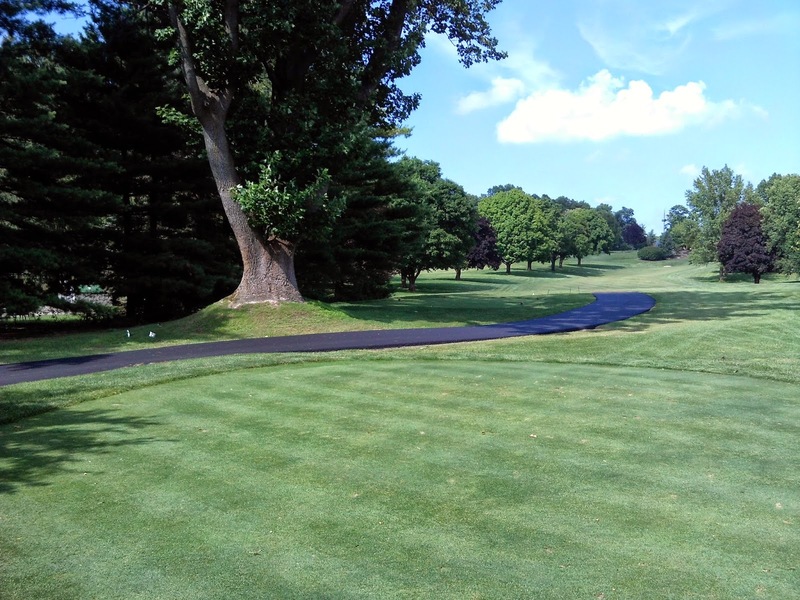 This work was originally scheduled for late fall 2014, but with the increasingly deteriorating condition of 13 and 14’s path, the work was moved up. This work will take approximately a day and a half to complete. 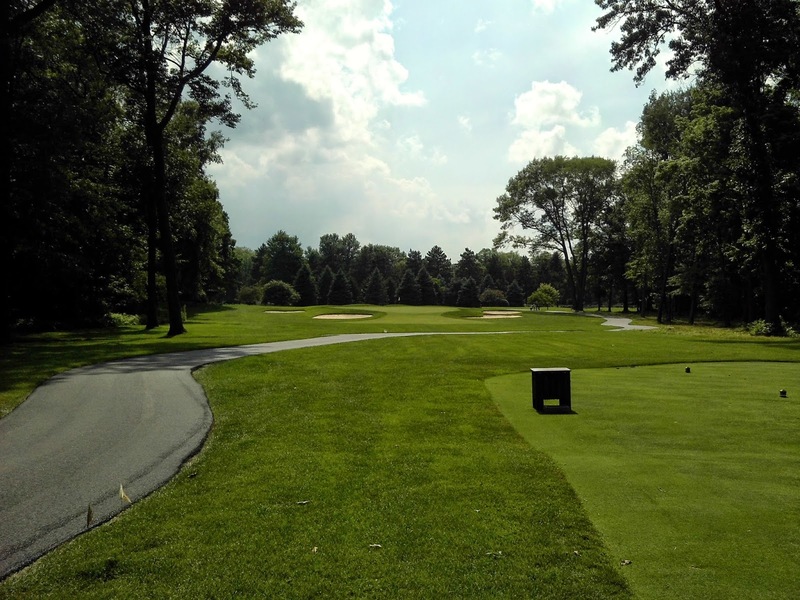 If you come out to enjoy the golf course, you will notice different traffic routings along these areas. Please watch your step and your surroundings for their crews. 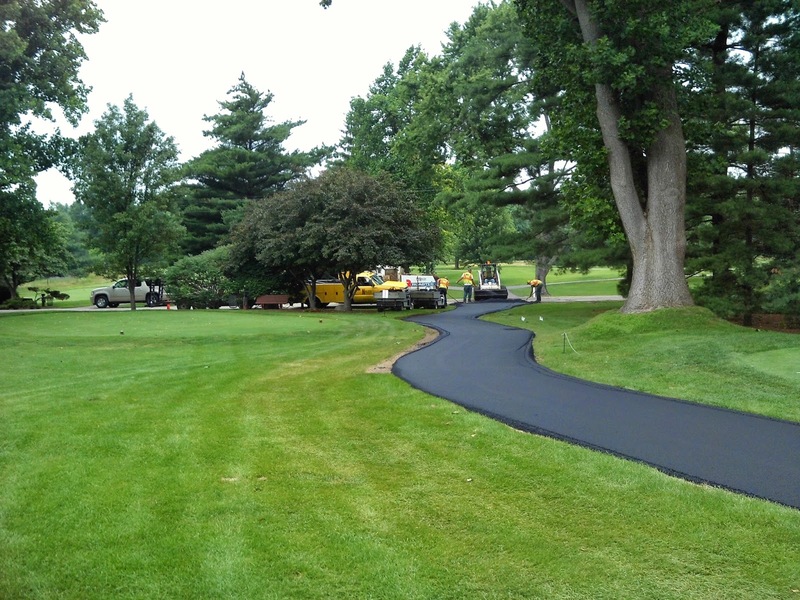 When finished, the new paths will remain closed for a couple days to cure the asphalt and ready them for cart traffic. 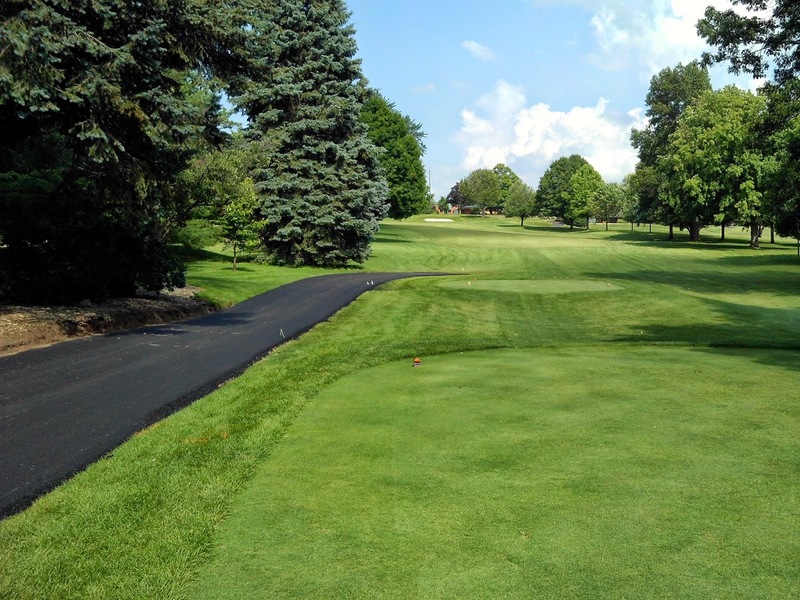 If we have inclement weather on the 7th, NiBlock will return to complete this work at the earliest possible date. 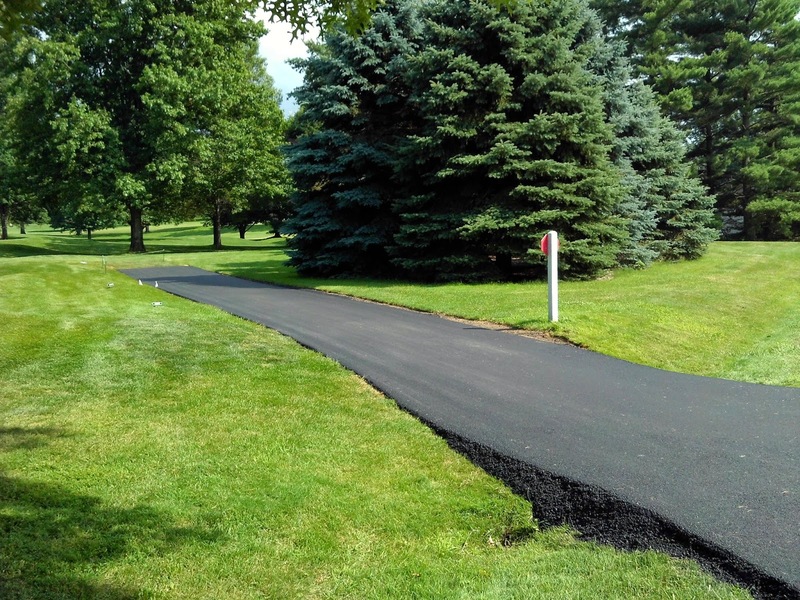 Thank you for your understanding and cooperation in advance and once completed, these paths will be a welcome improvement to the golf course!